As Müller continues to champion the goodness of dairy and inspire people to live happier and healthier lifestyles, the extended association, which began in 2016, will see Müller become title partner for ten world-class events over the next three years. In 2019, the dairy company will be title partner for the Müller Indoor Grand Prix Birmingham, Müller Anniversary Games, Müller Grand Prix Birmingham and Müller British Athletics Championships, with branding and activation rights for each event. 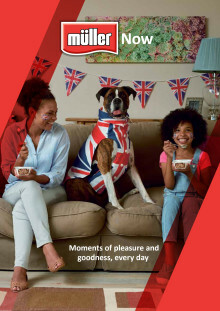 Müller will continue as Official Supporter of the British Athletics team, and maintain its status as Official Milk, Yogurt, Butter and Milk Drink as proud sponsor of British Athletics until the end of 2021. The new partnership will also see Müller sponsor officials at televised events, have an increased presence at World and European team events, and feature across all British Athletics corporate communications. As Müller continues to add further inspiration to the dairy category, the extended association will feature in an upcoming athletics inspired multimedia campaign, which is part of Müller UK & Ireland’s unprecedented £400m investment over the next three years. In 2019, Müller will build on a 2018 on pack promotion which provided new sports equipment to schools from Orkney to Sussex, and its squad of athletics brand ambassadors will feature across new television adverts, as well as digital and print advertising. 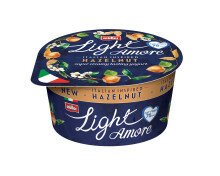 From June 2019, the UK’s favourite yogurt brand will reduce sugar in Müller Corner by up to 9% and gain a creamier texture, thanks to the discovery of a new yogurt culture. 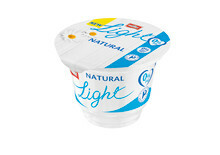 The dairy company is also removing all added sugar from its core Müllerlight yogurt range in May 2019. 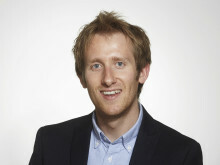 “Müller is passionate about making people happier and healthier. As such, it’s wonderful to extend our partnership with British Athletics. “We are delighted to develop further our partnership with Müller who are now very well established as a long-term supporter of athletics in this country. “Muller’s continued investment in the televised events series means we are able to continue to host world class elite level competition. “We would also like to thank Müller for their incredible investment in promoting British Athletics in everyday life through their TV and print media advertising. Müller is also national sponsor of the upcoming European Athletics Indoor Championships 2019 in Glasgow. Müller Corner, one of Britain’s best loved yogurt ranges, is set to reduce sugar by up to 9% and gain a creamier texture, thanks to the discovery of a new yogurt culture. Müller Corner Lactose Free , the dairy company’s first step into the lactose free sector has been crowned Product of the Year 2019 in the Free From category .